Pennsylvania’s most Dog-Friendly Fence Company! A fenced-in back yard is a great convenience when taking the dog for a walk isn’t possible. 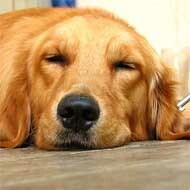 We’re dog owners ourselves and have over thirty years experience installing fences to keep dogs safe at home. For every fence we install for rescue dogs, we will donate a portion of the profits to the rescue society. Some of the rescue groups include: DMA Puppy Rescue Team, Greyhound Connection, Big Paws Big Heart Cane Corso Rescue, and others. 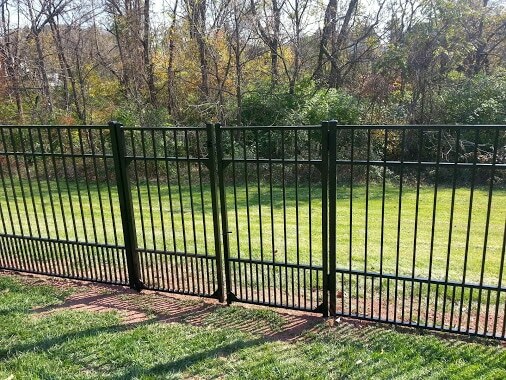 Heritage Fence Company offers a variety of dog fences and can advise you knowledgeably about which types of fences are better for the breed of your special canine. For natural escape artists like Beagles and Hounds that love to dig, we recommend fences built tighter to the ground, like a chain link fence with a bottom rail or aluminum fence with a lower bar. For great jumpers like Labradors, Huskies, Boxers, and Australian shepherds, we suggest installing higher fence, five or six feet tall. If you have a very large yard, consider fencing only a portion of it. But if your yard is smaller, we advocate beginning the fence from the proper corners of your house, not the middle sides. This way, you can be sure your dog is within her limits with a simple glance into the backyard. Be sure to acclimate your dog to his new surroundings. Instead of letting him out in the newly bordered yard straight away, walk your dog on a leash around the perimeter of the fence so that he knows his limits. We also sell a variety of outdoor kennels and special “doggy panels” on our aluminum fences, which keep smaller dogs or other pets from slipping between pickets or under the fence. Please contact us right away to talk about your dog fence or about our other products for pets!